BOURNE, MA, August 22, 2018 — Many high-value crops are sensitive to micro-climate variations such as temperature, rainfall, and soil moisture, which directly affect quality and profitability. Meanwhile, water and pesticides, which represent significant costs, are under greater scrutiny as governments and consumers place a higher priority on sustainability. 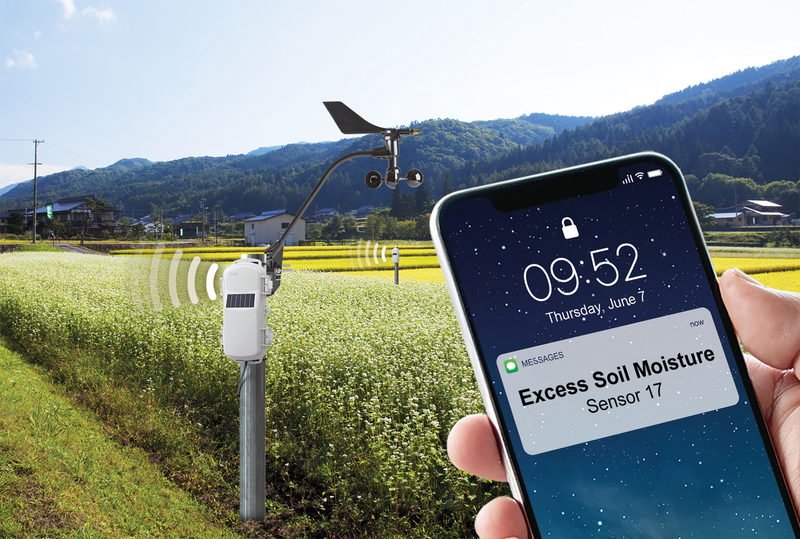 Onset, a world leader in data loggers and weather stations, today announced that it is helping growers and researchers address these issues with the launch of the HOBOnet™ Field Monitoring System. Now, whether managing fields and greenhouses or conducting studies on agriculture, climate, or ecology, HOBOnet makes it simpler and more affordable than ever to collect the data that drives insights and decisions. HOBOlink is the web-enabled software platform that makes it easy to view data and manage the HOBOnet Field Monitoring System remotely. It works with the RX3000 Remote Monitoring Station and Onset's new wireless sensors to provide growers and research scientists with instant access to site-specific environmental data anywhere, anytime from mobile or desktop devices. Delivered as a cloud service, HOBOlink features a customizable dashboard that enables instant visualization of current and historical data, plus the ability to set email or text alarm notifications when conditions reach user-set thresholds. It's also integrated with Google Maps, so growers and researchers can quickly view the connection patterns for their HOBOnet system and details such as alarm status and readings from the last connection.